The Pippins fell behind early and couldn’t rally back, falling 9-5 to the Corvallis Knights on Monday. Kaleb Strawn made the start for the Pippins, his first start of the season in the last series of the season. He walked two of the first four batters he faced before Cody Hawken got the Knights on the board with an RBI single. After another walk, Trace Tammaro doubled in two more runs to extend the lead to 3-0. Strawn would strand runners at the corners to end the inning. In the third, the Pippins got some help from the Corvallis defense. Cody Jefferis lead off with a groundball to third that went under the glove of Zak Taylor. After a Nick DiCarlo double, Jake Moberg delivered a two run single to pull the Pippins within a run. Corvallis would get one of the runs back in the bottom half of the inning. After back to back strikeouts to open up the inning, Strawn allowed a single and a hit by pitch to set up an RBI double from Brendan Beck. The Pippins continued to fight back in the fourth. With two on and one out, Bryce Wooldridge drove in a run with a single to bring the Pippins back to within a run. Corvallis starter Jacob Frike would be pulled with two outs in the fourth, giving way to Jordan McDaniel. Strawn would be knocked out of the game in the bottom of the fourth after an error and an infield single began the inning. 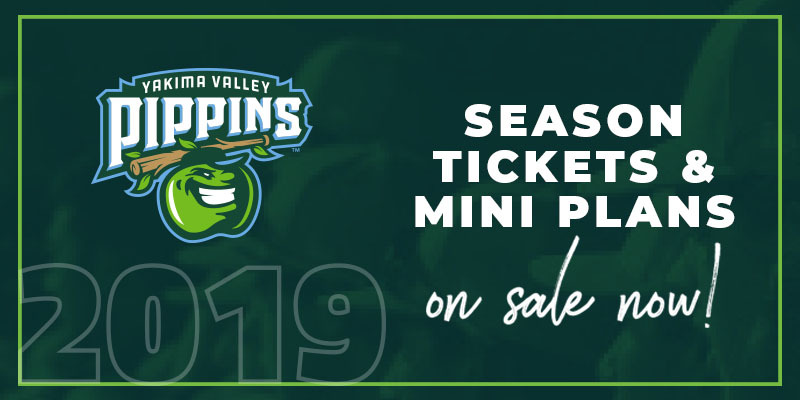 Tanner Inouye was summoned out of the bullpen and allowed just one run on an RBI groundout before escaping the inning to keep the Pippins within two runs at 5-3. McDaniel cruised through three and a third innings of scoreless ball in relief to hold the 5-3 lead with some help from two double plays. In the seventh, Corvallis began to pull away. With Inouye still on the mound, the Knights put together three straight base hits to bring in two runs. Another run would score later in the inning on an RBI double from Tammaro to bring the lead to 8-3. 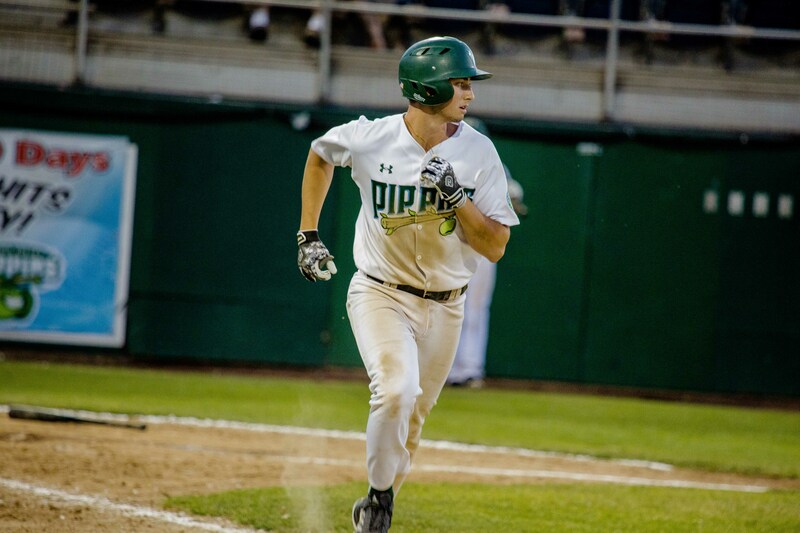 Cole Pofek supplied the last Pippins rally, going deep to right field for a two run home run in the eighth to cut the deficit to 8-5. With Moberg on the mound in the bottom of the eighth, Taylor crushed a 2-2 pitch over the wall in left field. A 1-2-3 top of the ninth sealed a 9-5 Pippins loss in the opener of the series. The last two games against the Knights are crucial for the Pippins. They need to win both games to make the playoffs. Game two of the series is on Tuesday. First pitch at 6:30.